Farmhouse of about 900 sq.m. currently divided into 2 separate areas: the owners’ house and 5 apartments for the letting business. 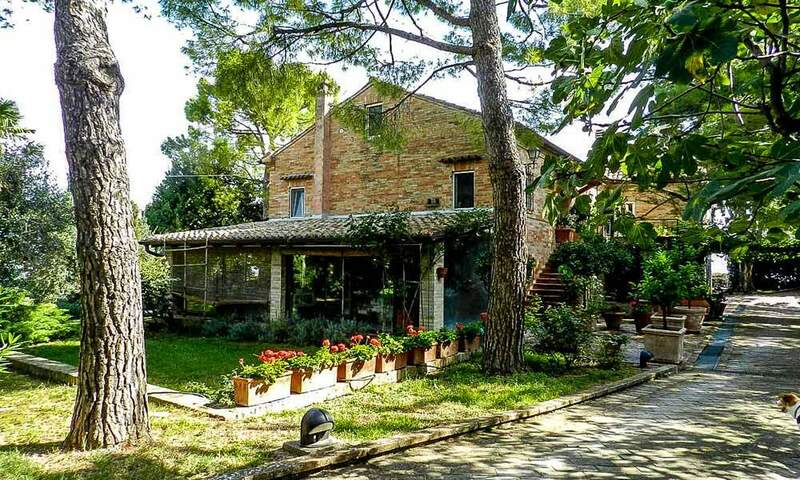 The property enjoys 4 bedrooms with en-suite bathrooms for the agriturismo business. In addition to this, there are also 5 independent apartments. A 200 sq.m. lounge used as a restaurant or for conferences, SPA, equipped kitchen, 5 toilets and closets. This floor consists of a large reception room, 4 bedrooms with ensuite bathrooms and 3 apartments for the letting business, each one enjoying an independent entrance. All the apartments are composed of a kitchen/living room, a double bedroom and a bathroom. Here you can find 2 independent apartments each with living room with kitchenette, 2 bedrooms and a bathroom, plus a private apartment (available for sale). The property includes a large garden of about 10.000 sq.m. and a surrounding agricultural land for a total of 6 hectares. The farmhouse has been carefully restored using materials typical of the time of construction and it is sold with all furniture. Great location in the middle of a beautiful countryside, just 5 km from the sea. A fractioned sale is possible (agriturismo + holiday apartments).